A lawsuit filed on Monday September 28,2015 by Meadow Rain Walker has named Porsche as its defendant. Meadow is suing Porsche, claiming that the sports car her father, Paul Walker was in when he had an accident that claimed his life two years ago suffered from numerous design defects. Paul walker died in accident that left him trapped in the Porsche Carrrera GT that crashed and burst into flames in November 2013. He was with Roger Rodas, who lost control while driving causing the car to careen into trees and a power pole in Santa Clarita, north-west of Los Angeles, killing both men in November 2013. Meadow Walker’ suit claims that the car which was marketed as a street-legal car, lacked proper stability control system and safeguards to protect its occupants and keep it from catching fire after a collision. 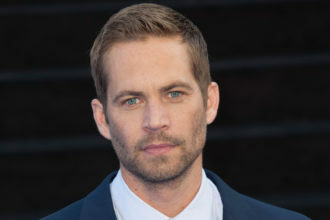 Paul Walker’s daughter is suing Porsche, claiming the sports car that her father was in when he was killed two years ago suffered from numerous design defects. In a report by Guardian UK, it was noted that Porsche could not be immediately reached for comment on Monday. But attorneys for the German car company said that Rodas was to blame for the crash after a lawsuit filed by his widow against the company’s North American unit last year.